This game is based on the popular Xonix, with much the same rules and objectives. In the new version, you’re airborne, operating a flying machine and are playing in a 3-dimensional environment. Game play is a little compressed. 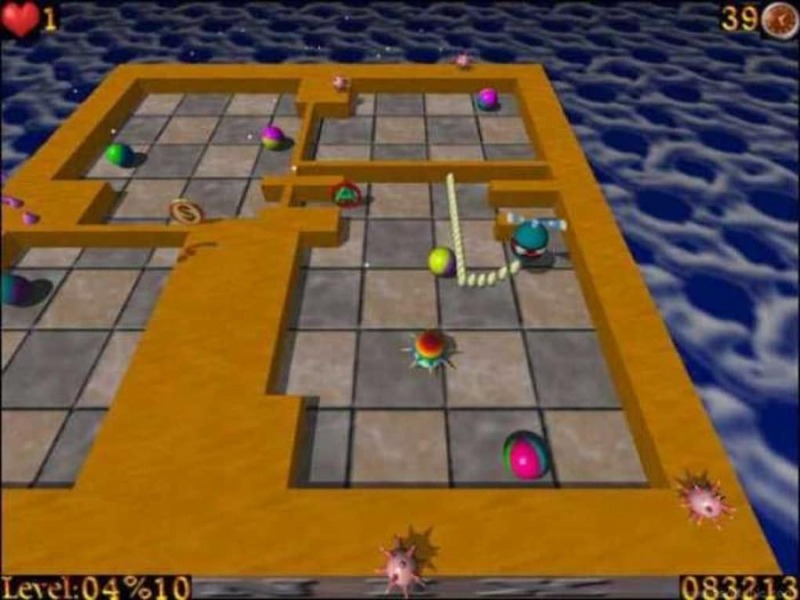 AirXoniX is like the original Xonix, in that you are the controller of a device that moves around a field, which is populated by a number of monster sized balls. The aim of the game, as in the first version is that you must clear the balls away and create open field space. There are also mines to consider, which move around covered areas and there’s also a time limit. Bonuses can assist or hamper your efforts, such as ‘speed’, ‘money’, ‘time’, ‘slow’ and ‘life’. Collect the right bonuses to get life, raise your score and time and to slow down the advance of mines and balls. This modern take on an old classic elevates the game to new heights, with a whole range of new monsters and exciting bonuses, all presented in full 3D. The game is complemented with striking special effects and great 3D sound. There are 5 different games and over 80 levels, in the full AirXoniX set. need to register to unlock next level. it is an unregistered version and hence we get in to the game they will ask to download/register to unlock the new levels. good flow of the game. i play it with so much anxiety . so interesting i play it with so much anxiety . my free time is not boring anymre.it is really challenging at all levels. Nostalgia. I haven't played this game for 8 years and it's so nice to be able to play it once more ^__^ Believe me, that game is magnificent. Santa Claus in Trouble and Neighbors From Hell are also my fave (Windows XP), play them and see. What do you think about AirXoniX? Do you recommend it? Why?